Our final day in Edinburgh took us down the Royal Mile. We got up early, hopped on the tram and headed straight for the castle on the hill. Which is the start of the Royal Mile and as the name suggests is roughly a mile! The castle was impressive up close and the hill gave great views over Edinburgh. I do think I loved Alnwick castle more though. We took some photos and a couple of selfies before heading to the gift shop. I added another pressed penny to my collection and some more magnets for our fridge. 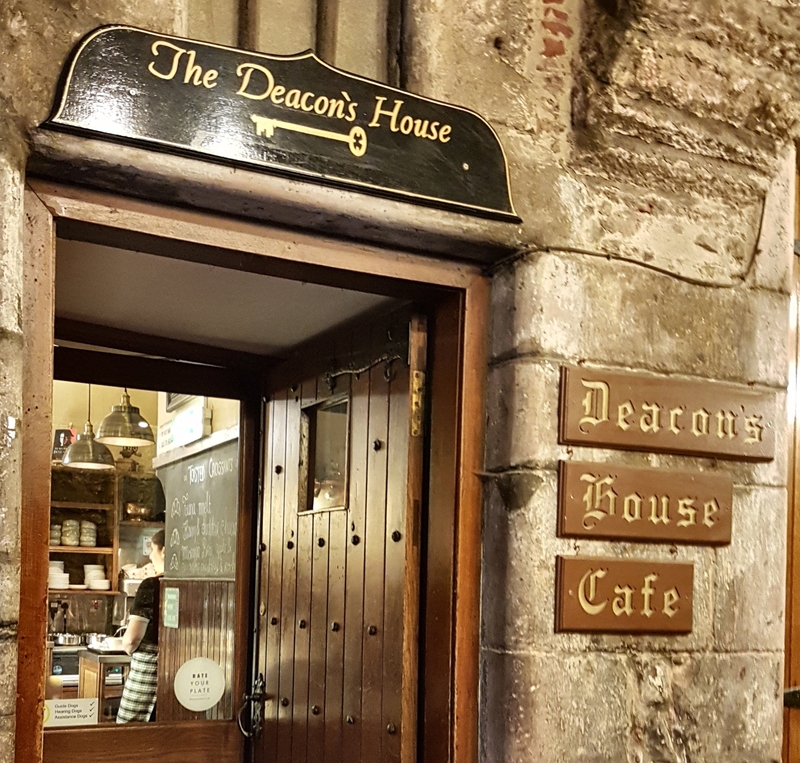 We headed down the road and stopped for breakfast at Deacon’s House Cafe and learnt a bit about one of Edinburgh’s historic figures. William Brodie. While we ate we booked tickets to the Edinburgh Dungeons and a Ghost Bus Tour for later on. We had planned to visit Edinburgh’s undergound vaults but the tour was sold out. Always prebook if you can! We continued down the road and visited St Giles’ Cathedral which was beautiful. There is a small charge to take photos of the interior which I was more than happy to pay. It’s a stunning piece of architecture. We had to cut our walk of the Royal Mile short and headed off to our Edinburgh Dungeons adventure. I won’t give anything away but will say it was fun and interactive. We learnt interesting facts about some of Edinburgh’s criminals. We headed back to the Royal Mile for some lunch and came across The World’s End pub. Ryan and I are both fans of the movie of the same name so stopped in for a pint. 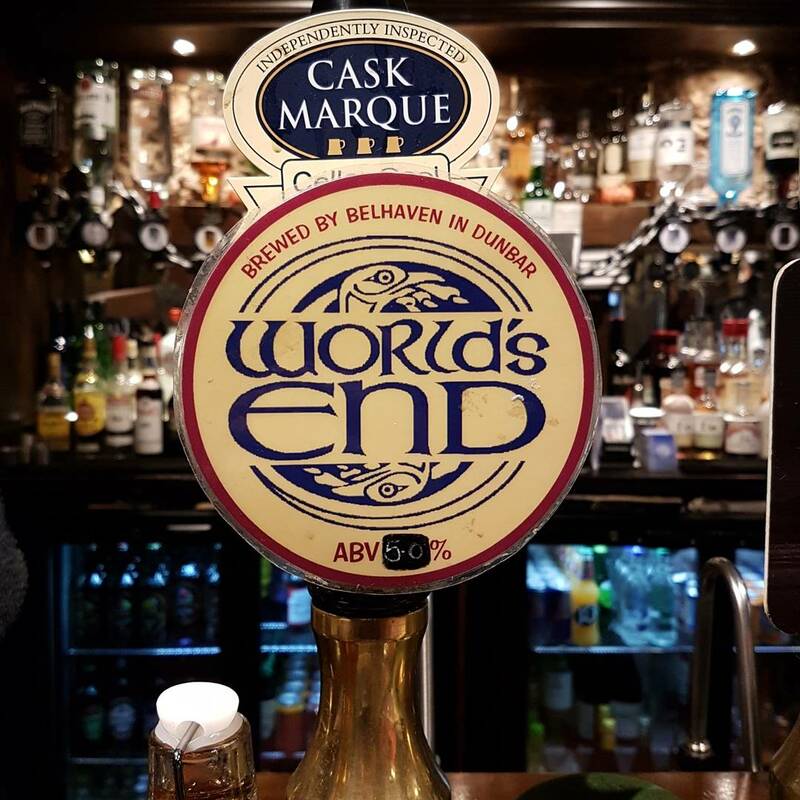 The had a couple of ales on tap that caught our eye: The World’s End and Starry Night. 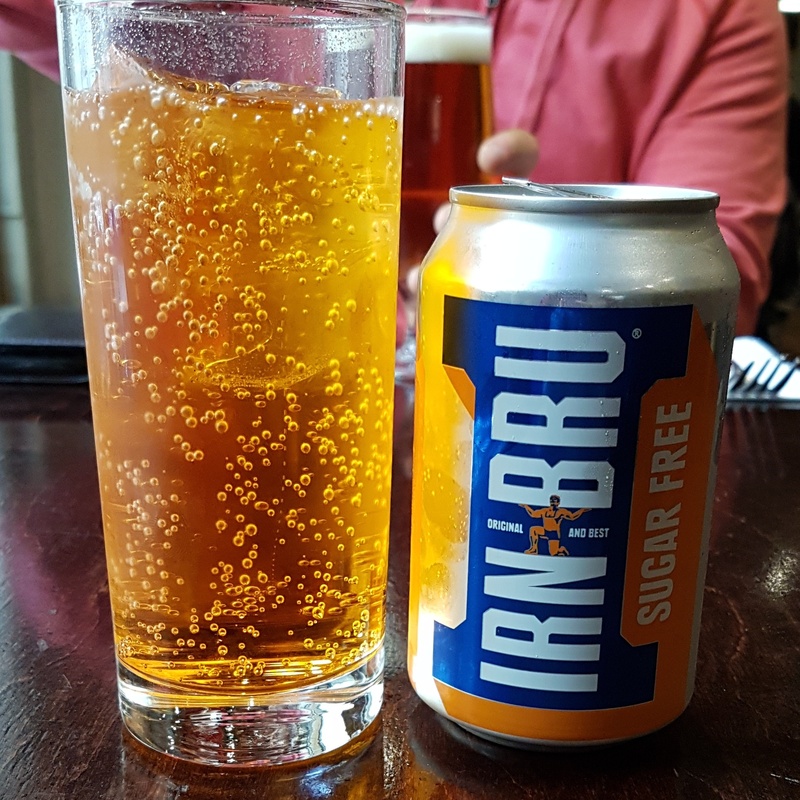 After a quick pint we continued our stroll down the Royal Mile, buying souvenirs along the way and trying to find somewhere to eat. There were a lot of places to chose from! After dinner we decided to find The Elephant House. If you’re a fan of Harry Potter you will likely have heard of it. The Elephant House is said to be where J.K. Rowling wrote some of her books. The queue was out the door so we didn’t get to sit in and have a coffee. However I did pick up a couple of leaflets as souvenirs. Up the road from The Elephant House we found Greyfriars Bobby and his namesake pub behind him. We walked into the cemetery to pay our respects before having a pint (yep, another one) in the Greyfriars Bobby. We still had a little wait before our Ghost Bus Tour and were both feeling tired from a long day of sightseeing. It was then that we stumbled on the Frankenstein. Which as the name suggests is a Frankenstein themed bar (with a bier keller downstairs). I loved it and Ryan struggled to get me to leave! The Frankenstein monster awakens at certain times in the evening and we were lucky enough to catch one of the shows. We headed to Princes Street to catch our ghost bus but had a lot of trouvle finding it! Even with the map they provided. Looking back we should have assumed it was where the large line had formed! Doh. We still got a great seat and I sat by the window to take photos. I did a ghost bus tour with my mum in London and thought this one was just as good if not better. There were elements this one had that London lacked for example the bus leaving us behind in a haunted graveyard! The Ghost Bus Tour takes you through all of Edinburgh’s most haunted locations including. We passed by the Royal Mile, Greyfriars’ Church, The Old Town and Holyrood Palace. While learning all about murders, plague victims, with hunts and tales of Burke amd Hare. If you get chance it’s well worth doing but definitely book in advance as they were turning people away! We heard about a horror event that was in Edinburgh for Halloween, the Black Market Barracks and decided to see what it was about. We didn’t have time to tske the tour as the next one was in an hours time but had a drink in their bar. The Black Market Barracks say they invite visitors to discover their own ‘Private Hell’. I ended up scaring one tour group on my way back from the ladies! Lol. We had a great day and evening in Edinburgh and definitely packed a lot into one day. The next part of our journey was through the Scottish Highlands and up to Loch Ness. Wow, I’m super jealous of the ghost tour.. that sounds awesome. I love all things paranormal. The places you visited look really cool too!